The Philippines Meralco Bolts is scheduled for a head-to-head game against the South Korea SK Knights at 7:00 P.M. (PHI time) on October 2, 2018 live from the Stadium29 in Nonthaburi, Thailand. 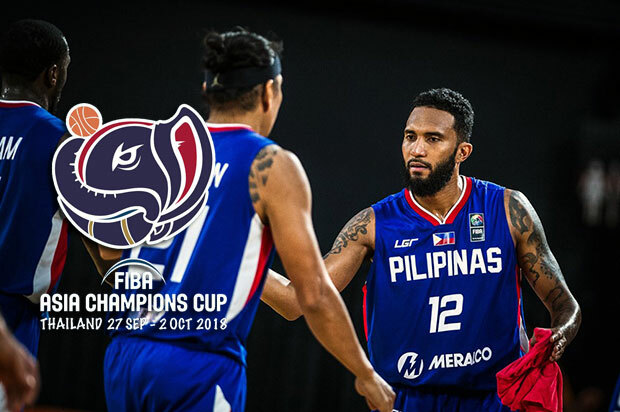 The Bolts went short on claiming the first ticket to the 2018 FIBA Asia Champions Cup Finals yesterday against the Iran Petrochimi. However, there’s still another medal at stake when the game resume at 7:00 PM. Team Pilipinas will do its best to grab the bronze meadal and finish third in the tournament against South Korea. Meralco started slow with two straight losses against the host nation Thailand Mono Vampire then on the following evening against Alvark Tokyo. However, in their third game against the defending champion the Lebanon Al Riyadi, the Bolts broke out as several of its local players stepped up. Against Iran yesterday, Meralco Pilipinas was in control during the first three quarters only got pounded at the last period. Without Allen Durham, team Pilipinas struggled as their offense got scrambled. Meralco got defeated by only five points against team Iran which has a winning margin of 36 points prior to their game against the Filipino ball-club. The national team will face the South Korea team in the bronze medal. Also yesterday, SK Knights got demolished by Alvark Tokyo, 78-54 in the semis match. The South Korean’s 15 turnovers gave Japan an added 22 points and their opponent has a better ball movement where SK Knights got outscored 21-10.